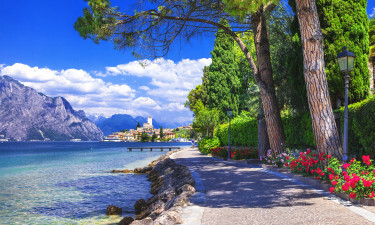 Lake Garda is a popular holiday destination in northern Italy which offers numerous luxury camping sites that include such accommodations as bungalow tents, mobile homes and luxury tents. Visitors can enjoy seasonable weather throughout most of the year complimented by stunning panoramic views, access to historic towns and of course, luxury camping facilities which are some of the best in the world. This lake boasts cerulean blue waters which have enticed travellers for centuries. 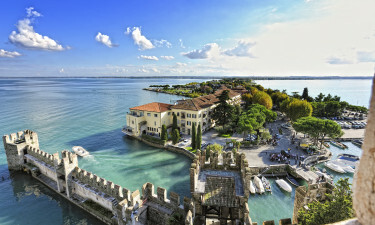 Also, it should be known that the nearby villages of Sirmione, Lonato, Lazise and Bardolino offer spectacular windows into the past; many dating as far back as Roman times. Notwithstanding this unparallelled beauty, the luxury camping to be enjoyed is some of the best in the world. As there are a host of different holiday camping sites to choose from, even the most discrete tastes can be easily met. Why should I select a camping holiday at Lake Garda? 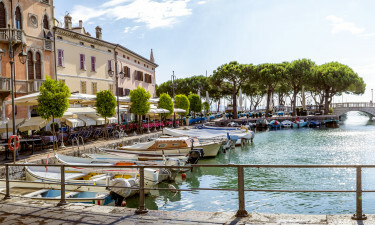 Found near the town of Peschiera, Bella Italia boasts five on-site pools, 1,200 different luxury camping pitches and accommodations such as bungalow tents, luxury tents and mobile homes. Additionally, food provision facilities are located within the camp and wireless Internet is included with each package. Children are catered to at this holiday camping site. The Cisano/San Vito holiday camping site is likewise perched near to magnificent Lake Garda. 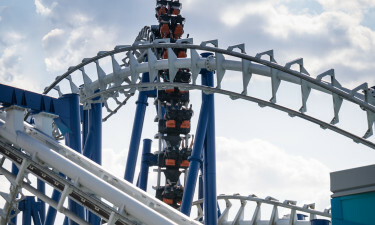 Travellers can enjoy the local sights and sounds while mobile homes and bungalow tents are provided as standard packages. 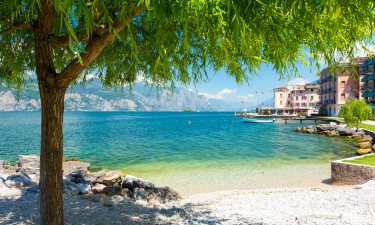 Lake Garda offers some of the best beaches in Italy. Towering mountains dominate the background while the waters are crystal clear. Likewise, the amenable climate here allows visitors to explore regions which contain cedar, cypress and olive trees. Over thirty different species of fish are present and the lake itself is known as a haven for the now-endangered carp. Hikers can enjoy trails such as the Old Ponale Road Path while those who are more intrepid can climb Monte Baldo. Architecture such as Saint Martin Tower and Santa Barbara Church are also great sights. Of course, these are all complimented by the luxury camping sites located nearby. This region of Italy is known for producing high-quality wines. The culture is quite welcoming and this is further complimented by such regional delicacies as freshwater fish, organically grown meats, lemon ice cream and of course, pizza. The climate here is quite moderate; temperatures rarely fall below zero in winter. The Mediterranean weather offers a great deal of sunlight while rain can be expected during the months of October and April. Due to the proximity of the nearby mountains, temperatures are milder than in other regions of the same latitude. 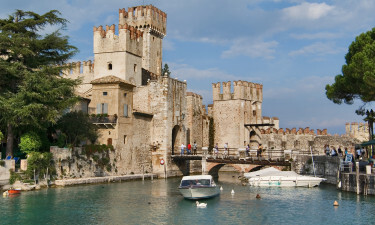 Lake Garda was formed during the last Ice Age and has been known since Roman times. Thus, resorts have literally existed for thousands of years. Many of the nearby towns and villages offer windows into this interesting past.